Hotel London is situated by the seaside, one hundreds meters away from the beach, in the most beautiful area of Glyfada among plenty of trees. It consists of 75 rooms (142 beds), Bar and pool Restaurant. 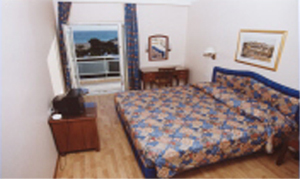 All rooms with balcony, T. V. , Air Condition, mini bar and a direct telephone line. Welcome to the fully renovated London Hotel. 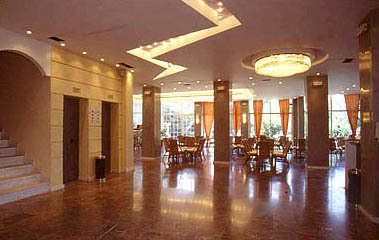 A superior value selection hotel, perfectly located in Glyfada, a Glamurous superb in the southern coastline of Athens. Only 100 meters away from the beach and among plently trees. 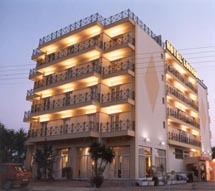 Convenient to Glyfada restaurants, shopping, entertainment, recreation and business district. 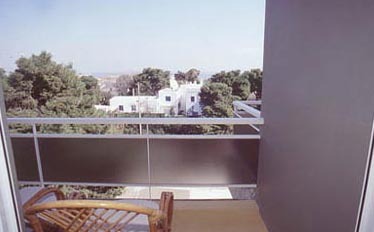 Just few meters from the Tram station that provides easy access with the Athens Center. 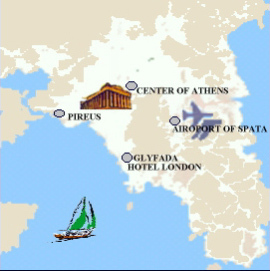 Hotel London is your premier seaside destination for anything you could want to see or do in the capital of Greece. 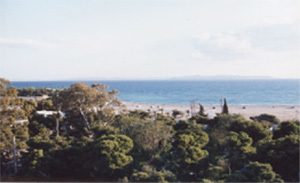 Hotel London offers 75 renovated superior rooms, some of them with astonishing view of the Saronic coast. 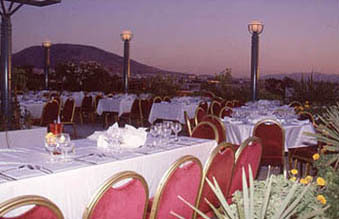 Are you planning a wedding, banquet, business meeting, seminar or other event? Tell us about the event you'd like to host with us, and we will get right back to you with everything you need to have a successful, memorable event. Our Restaurant invites you to Savour dishes from International anf Mediterranean cuisine in pleasantly designed surroundings. Open for breakfast, lunch and dinner. Unwind in the comfort and intimacy of our Stylish Lounge BAR, in which you can enjoy delicious drinks, coffees and light snacks. Relax, meet friends, or even socialize with other guests. If you are familiar with LONDON HOTEL, please share your opinion of it with other travelers. Write a review! Overall we enjoyed our stay Oct. 9-19th. We had room 413 which was away from the noisy road, view of water lovely. Close to tram to easily tour Athens. We were not on food meal plan but food was very nice, some times we ordered buffet, other times from menu. The main desk was always very helpful. Nice location, close to water. 45 min. to historic sites by tram which is close by and easy to use. Road in front is very noisy so be careful of room selection.